16th September, Yancheng: Topseed, Milki Ng of Hong Kong and fourth-seed, Lee Won Seok of Korea won the Women's and Men's Singles gold medals at the 28th East Asian Tenpin Bowling Championships at Yancheng Bowling Center of Sunday. Ng, brushed aside fourth-seed, Hong Hyeon Jeong of Korea, 179-145 in the Women's Singles first semi-finals match to advance to the final while 2017 Asian Intercity Championships triple gold medallist and third-seed defeated compatriot and second-seed, Kong Min 191-164 in the all-China second semi-finals. The final between Ng and Peng was a closely fought tie with nothing seprating the duo toward the fifth frame. Peng missed a single-pin spare in the third frame and Ng encountered a split in the fourth frame which she failed to convert. But Ng bounced back with a double in the sixth and seventh frames while Peng was unable to response. Whilst the Hong Kong national spared and struck again in the eighth and ninth frames, the Chinese doubled in her eighth and ninth frames leaving just 2 pins separating them. 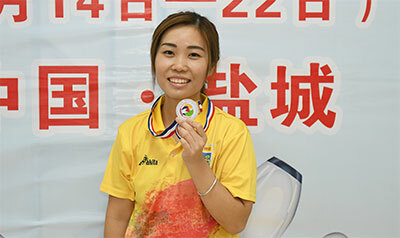 Ng spared her tenth frame to end with a spare and 227 to clinch the gold medal while Peng could not find a double to overturn the tie going down with 222 and had to settle for the silver medal. Kong and Hong took home a bronze medal each. Meanwhile it was a Hong Kong versus Korea affair in the Men's division. Fourth-seed Lee Won Seok breezed past topseed, Ernest Kwok of Hong Kong, 234-178 in the first semi-finals to advance to the final while Squad B winner and second-seed, James Lui of Hong Kong edged third-seed, Oh Jin Won of Korea, 190-187 in the other semi to face another Korean in the final. Like the women's final, there was very little separating the gold medal contenders. Lee rolled three strikes-in-a-row to take an early lead. Lui doubled in the second and third frames and again in the fifth and sixth frames. Lee rolled a big 4-6 split in the sixth frame but managed pull off an incredible spare to the delight of his supporting team-mates and officials. With the conversion, Lee built up his confidence to roll four strikes-in-a-row thereafter. 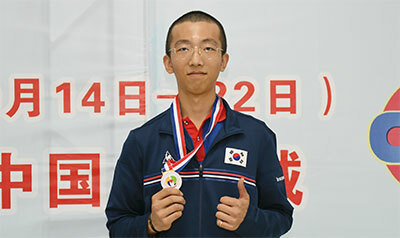 Although Lui responded with another double in the ninth and tenth frames, Lee went on to strike out to beat Lui, 257-237 and claimed the gold medal. Lui settled for the silver while the losing semi-finalists, Kwok and Oh took home a bronze medal each. Competition will shift to the Doubles event tomorrow with the Women in the morning and the men, divided into two squads in the afternoon. The top 4 men and top 4 women pairs will advance to the semi-finals.